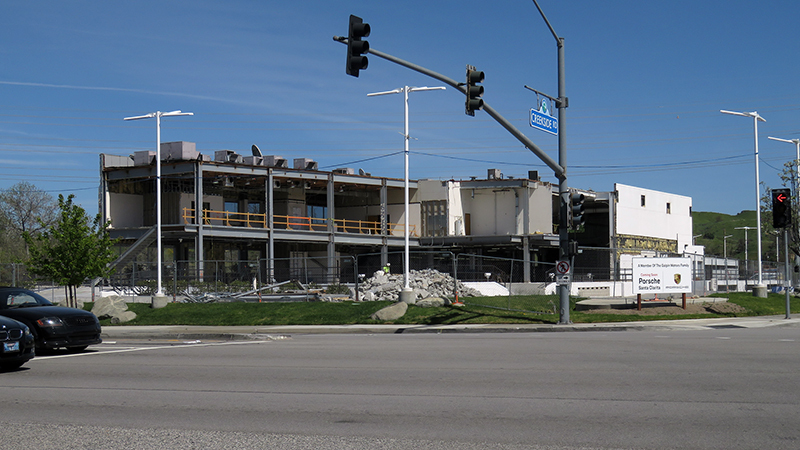 SCVHistory.com LW3527 | Valencia | Galpin Remodels Saturn of Santa Clarita Into Porsche Dealership, 2019. 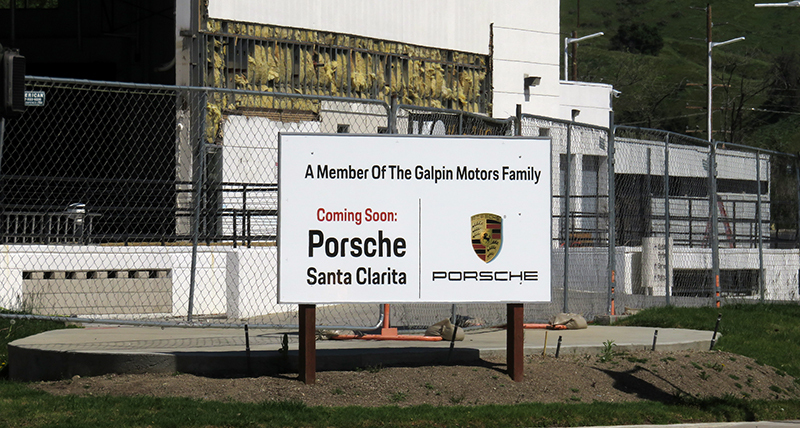 March 29, 2019 — Galpin Motors remodels its Saturn of Santa Clarita dealership at the southeast corner of Creekside Road and Valencia Boulevard into a Porsche dealership. LW3527: 9600 dpi jpeg from digital image by Leon Worden, 3-29-2019.